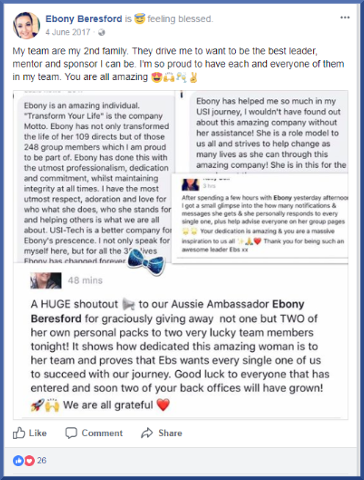 Aussie Ebony Beresford - Naive, Duped or USI-Tech pimp ?? 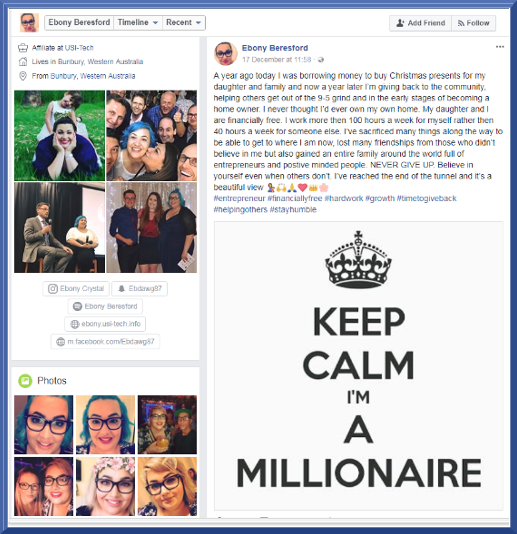 Thread: Aussie Ebony Beresford - Naive, Duped or USI-Tech pimp ?? 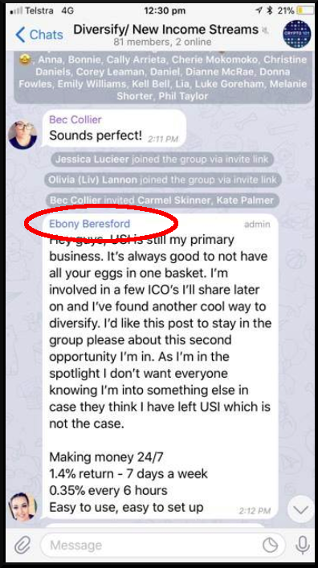 Observers of the USI-Tech fraud will doubtlessly be aware of 22 year old EBONY BERESFORD who was featured heavily in early advertising for USIT. Ebony also appeared alongside fellow Australian USI-Tech trumpeter, Andrew Toal. Ebony seems to have embraced her now found fame with a complete makeover. So, are you in Ebonys' downline, or is she in yours ?? 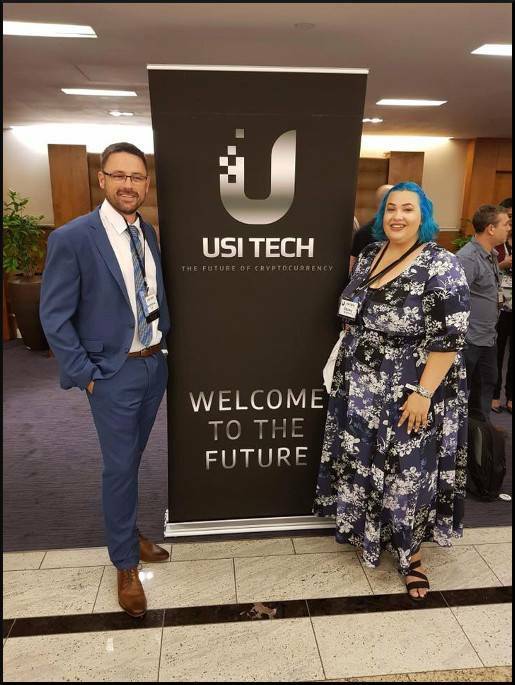 Is she still pimping promoting USI-Tech in Australia or has she REALLY gone into hiding ??? 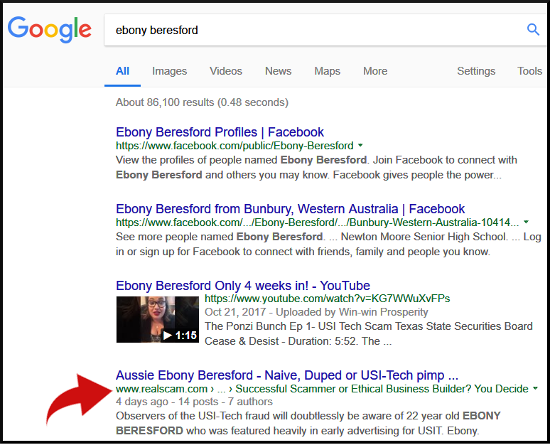 Re: Aussie Ebony Beresford - Naive, Duped or USI-Tech pimp ?? I'm often in two minds about who to blame when it comes to endless chain recruitment opportunities. Do we blame the perp, or the government for not taking a clearer stance? 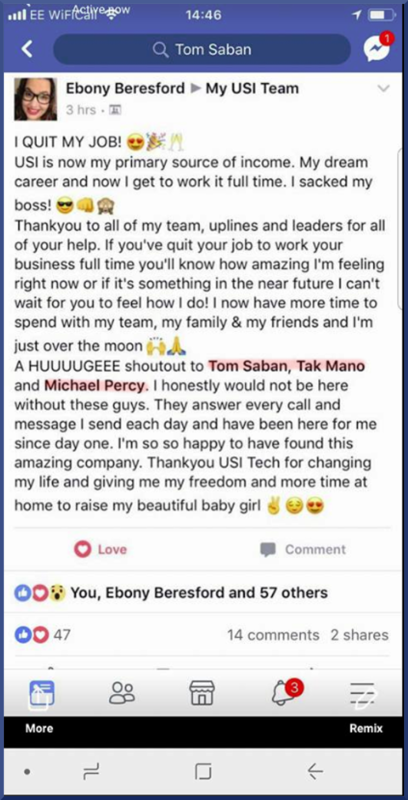 With so many youngsters pimping USI, my usually harsh judgement of network marketing MLMers comes in question. They are so young and perhaps really just so stupid. Full circle, and why we must simplify and even change the law. shipdit, surfer, ribshaw and 2 others like this. I have longed for years for any streamlined process that would allow regulators to block, freeze the assets of or otherwise shut down these online SCAMS. Whether it is due to a lack of awareness or a lack of resources, the free reign that the "super-pimps" have enjoyed for decades represents the greatest failure in the war on online fraud. The frequently amateurish productions of scam originators would fall flat without the pervasive promotion of these greedy, sociopathic Ponzi pimps. Soapboxmom, surfer, Char and 2 others like this. The victims: No matter how naive or desperate you are, you can't leave common sense behind. The authorities: There will always be more crooks than there are people to stop them. And you simply can't legislate against naivete/stupidity/greed/desperation. I also agree with LRM. Essentially, these are pretty low level white collar criminals and I think that people allowing themselves to get duped isn't exactly at the top of their priority list. As for the youngsters pimping all this garbage, welcome to the new generation of scammers without scruples. You'll know soon enough which ones might have been scamming "accidentally" and which ones are already creating a criminal legacy for themselves by moving on to the next scam like a few from USI and Bitconnect already have. Soapboxmom, shipdit, Char and 3 others like this. There is a systemic problem with the punishment of white collar crime and/or what we even consider crime in this country. The supreme court has ensured donors can bribe a politician, just don't call it a bribe. https://www.vox.com/the-big-idea/201...-supreme-court. If the people "leading" our country hold themselves to a different standard it filters down at a faster rate. As someone that wants all money out of politics (more likely I will see my feet over my belly first) I see little difference between what our "leadership" is doing and the actions of Ponzi Pimps. You can write your representative, or you can send them a large check. One is free speech, the other an investment. 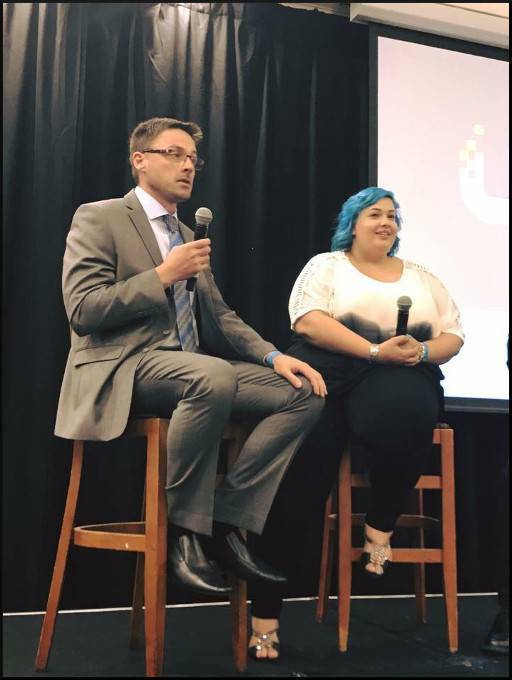 Let's start with MLM's lackeys on the Direct Selling Caucus. If there was a powerful 4/20 lobby how the US deals with low level possession of Marijuana Drug War Statistics | Drug Policy Alliance wouldn't be an issue. IMO most low level Marijuana related crime (sans DUI) is far less problematic than the effects and uses of the hundreds of billions stolen in white collar crime each year. This of course includes many MLMs IMO that are in violation of anti-pyramid laws. The US has the resources and ability to put a dent in online crime, just no political will beyond a few photo opps. The investing public, and Americans more generally, will receive significant value in return for the SEC’s $1.602 billion budget. MEH! A drop in the bucket compared with what we waste in other areas and the cost of fraud to the economy. Ignorance of the law is no excuse, but first time promoters and participants that learn their lesson should get a pass and perhaps some sympathy. Providing of course they do what they can to make it right financially. Spending the money while moving on to a second scam and all bets are off. Last edited by ribshaw; 02-04-2018 at 01:24 PM. EagleOne, shipdit, surfer and 1 others like this. Agreed. So what in the world is the problem with the UK that allows Sharon James and Simon Stepsys to be nationally exposed but never prosecuted serial offenders? With the exception of such corrupt locales as Hong Kong, Malaysia and Bulgaria, it seems like the premium safe haven for open-season scamming. 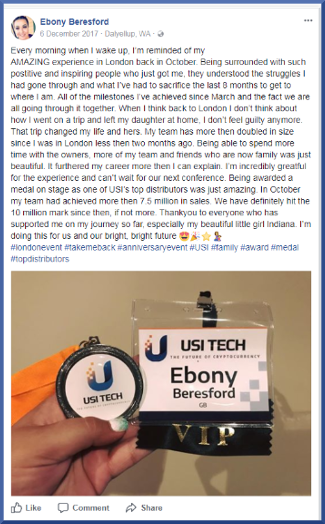 Without people like Ebony Beresford, Sharon James, and all the other "leaders" USI-TECH is nothing more than a website with no traffic..and no victims..
(Sharon James was a major promotor of TrafficMonsoon and when it got shut down by the SEC she just started pitching a new scam called Usi-tech)..
Ebony Beresford is now one less problem!! Did you verify one of the claims you make on this video ??? I sincerely hope no regulators come knocking on your door there in Bunbury. In the video you say you started with $150 and now you're claiming to be a millionaire ?? 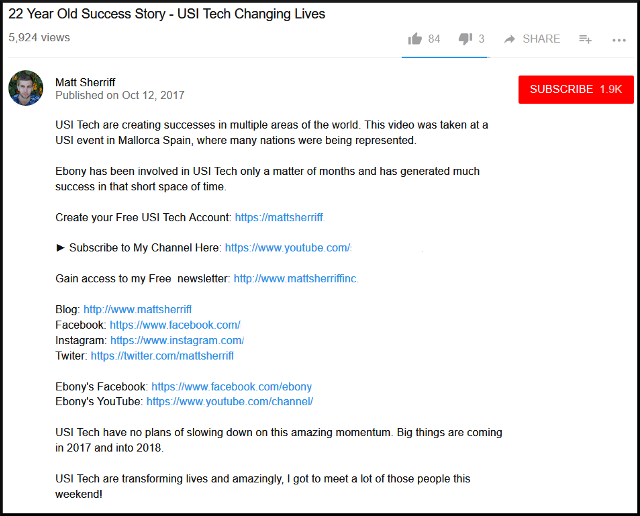 Would that be a millionaire in your USI-Tech back office or a real world millionaire ?? Geez, your tax bill must be amazing. You are telling the Australian tax office about your good fortune, aren't you ?? 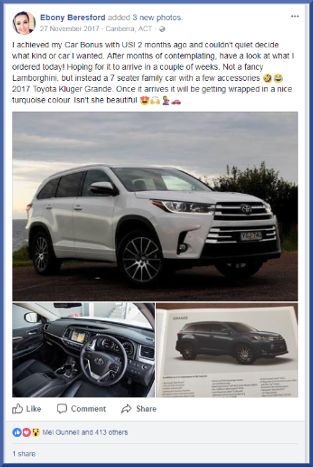 So, did the car arrive ??? Can you afford to run it, now that your USI-Tech cash cow has gone belly up ??? Is this like at the Olympics when you're caught cheating ??? Do they ask for your medals back ??? I don't know enough about the UK government to answer fully. Although I suspect much of the same as in the US. We both know a few people from the UK that write about scams. I know a few that have spent extensive time with law enforcement and legislators to no avail. One thing that struck me was when one said something to the effect of "I have spoke with many victims and none can clearly explain what happened". This is problematic since I am guessing many are the disenfranchised people that politicians only pay lip service to. Often I joke that the only way a scam gets busted is if a judge's kid gets caught up in it. But this story makes that ring like less of a pithy quote. I'm guessing a lot of well connected people ride the Tube and being pick-pocketed is easy to explain. $5M pales in comparison with what http://www.realscam.com/f11/simon-stepsys-3342/ and http://www.realscam.com/f11/sharon-j...ail-rate-5130/ have stolen through the years, so I'm at a loss. Found her mobile 0408419440 . Give her a ring ... She has deleted all her USI-TECH from her other social media . EagleOne, shipdit, ribshaw and 1 others like this. 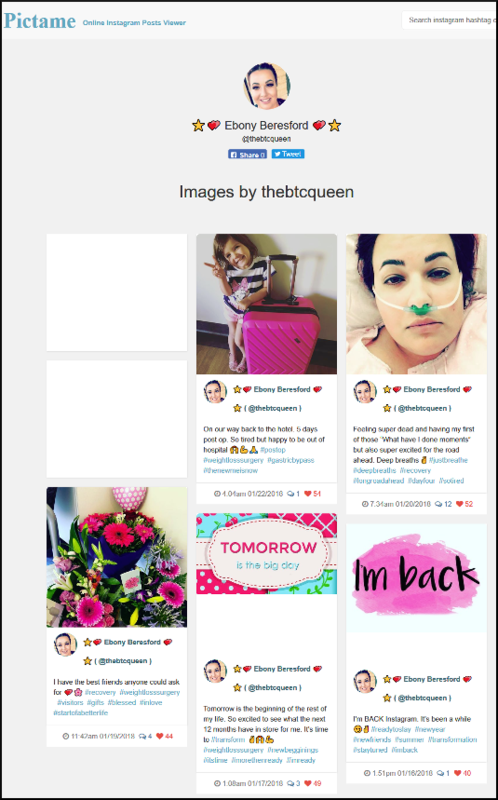 Also see Tiffany Grace Boon aka Tiffany Grace Redshaw, direct downline from Ebony Beresford. Known scammers. You'd be far better to save your tears for the REAL victims of USI-Tech and the Ebony Beresfords of the world. Last edited by littleroundman; 03-15-2018 at 11:14 AM.